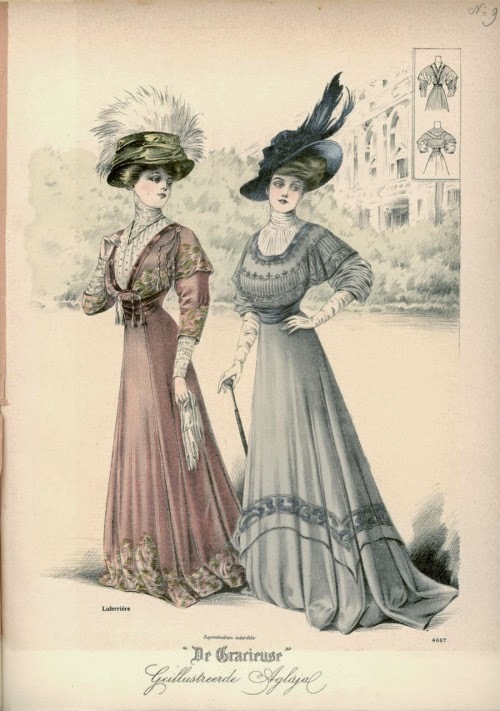 I know I've posted this one before, and recently, from 1908, but look at the collar of the blue/gray dress and this one. Also, look at that double skirt on both. 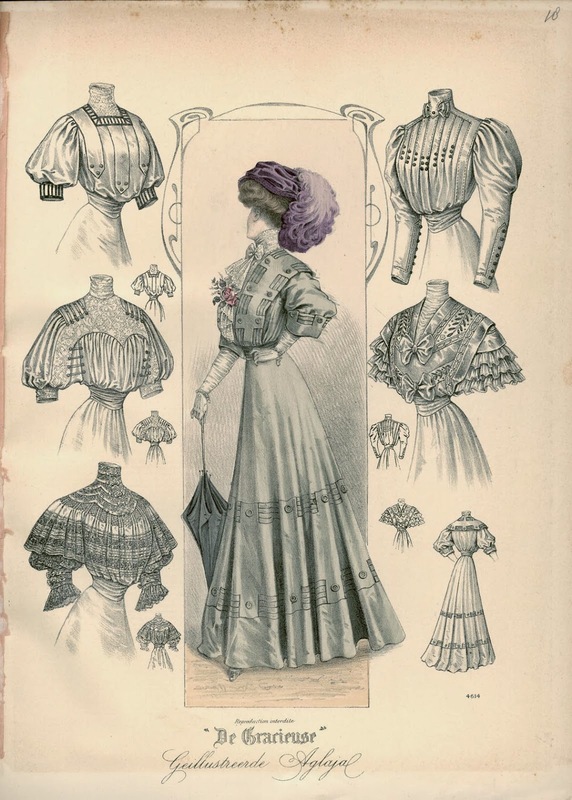 The sleeve style is more like those of the year previous, 1907. 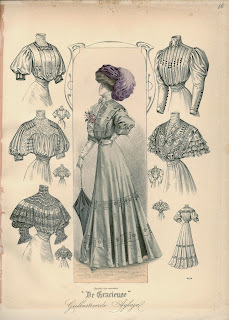 So, by no means is this early Edwardian. It's a very stylish late Edwardian dress. And yes, given the train, it's probably a wedding gown.